Could This Rendering Be the Basis for a New LGA? Is this the shape of things to come at New York’s LaGuardia Airport? 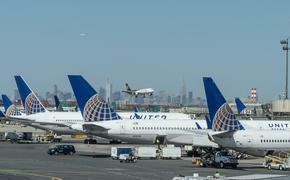 The oft-ridiculed airport, criticized last month by Vice President Joe Biden as looking like it belonged in a third-world country, is set for a massive makeover after New York Gov. Andrew Cuomo said last month the state would take over an ambitious $3 billion project to give LGA’s main terminal a fresh, modern, more expansive look. But this rendering looks out-of-this-world beautiful. Commissioned by the New York-based infrastructure advocacy group Global Gateway Alliance, and rendered by the New York and Boston-based design firm Neoscape, the images shows an all-glass façade for the main terminal. 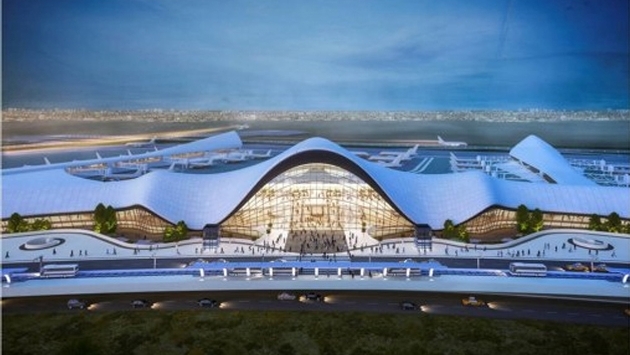 The Port Authority of New York and New Jersey will select the winning design for the new terminal later this year, but this rendering by Neoscape is one of the first that has made its way to the public. Global Gateway has been pushing for improvements to New York’s airports for years, noting that in 2012 alone New York City airports handled nearly 110 million passengers, with 49.3 million passengers at JFK, 25.7 million at LaGuardia, and 34 million at Newark. By 2030, 130 million passengers are expected. LaGuardia was built to handle half of what it processed in 2012, which has meant overcrowding and congestion, and a general decline in the terminal itself. Biden last month took a shot at LGA.